We are so excited to share this engagement session with you that took place at Libby Hill Park in Richmond! We love this location, it has such a wonderful view of the city. These two are getting married on Saturday at Hollyfield Manor, and we could not be more excited! We have been looking forward to their wedding all year! 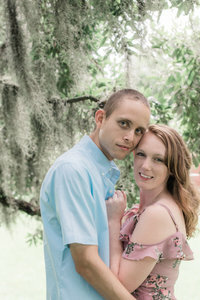 Enjoy a few of our favorites from their engagement session. See more Richmond Engagement Sessions!